So we’ve compiled a large amount of religious wishes and messages for every occasion and holiday. Feel free to use them as you like or change them for any card. Keep God the center of your marriage and it will be much easier to keep your relationship balanced. Love God first and it will be easier to love your spouse second. Congratulations! Remember to pray with each other and for each other. Prayer is the key to keeping focused on what is most important in your lives together. We are excited about and looking forward to finding out what God has in store for you. We know that His hand will be upon you and His spirit will grant you the wisdom you need when you need it. Christ loves the church as his bride. His love is an example for us to use to model the kind of love that it takes for a good marriage. Be careful not to depend on each other too much to fulfill what only God can provide. Put your faith in Him who is perfect in all things. Always remember that true happiness comes from God and not from your spouse. One of the ways God can bless you with happiness is through the love of marriage. We are confident that your marriage will be strong because we know that you two are strong in your faith. Remember your faith and trust in God in the times you need it. It will help you get through the challenges you will face together in life. Marriage is about trusting, sacrificing, and forgiving. Jesus is the ultimate role model for how to behave in your marriage. Use god’s love, forgiveness, and grace as a model of the love of your marriage and you should have no problems keeping it strong. Congratulations and best wishes on God’s plans for future. We are confident that God has many blessings prepared for your two lives together. Congratulations and best wishes. Remember to pray together often so that your values, goals, and dreams will be made together with the guidance of God’s wisdom. It’s easy to see the love of Jesus in both of you as you show love toward each other. As Christians, your love is an example of Christ’s love for us. You guys are an inspiration. I wanted to pick out some specific Bible verses to help you out in your marriage and I ended up with quite a few. The verses I suggest run from the beginning of Genesis through the last verse in Revelation. Make sure you read my suggested verses together and often. God has many blessings in store for you. He said, ‘be fruitful and multiply.’ Congratulations on your holy matrimony. Thank you for letting us be part of this most important occasion in your lives. Not only is this a HUGE legal partnership, but your marriage is a holy act of faith in each other and in God to give you the grace to see it through to the end. We figured your marriage would be the natural result of two cool people who love God and love each other. Pray for each other and encourage each other and your hearts will remain in the right place for your marriage to flourish and be blessed by God. Remember the promises you made today and keep God the center of your relationship. The Bible says, ‘two are able to defend themselves.’ Just don’t forget that you are on the same team, and now one will be able to conquer you. Together you will be strong against evil. When… and not if you guys fight, remember that Jesus is in the room with you. This way you will have the love, respect, and humility that it will take to love each other when you are not lovable. 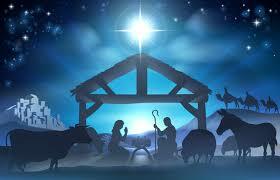 Christmas… a special time of Worshiping Our King. May the blessing of knowing Christ enrich your life in the year 2017. From our family to yours, Merry Christmas and blessings for the New Year. Joy to The World… In Christ Alone – Merry Christmas! May you rejoice in the miracle, the gift and the promise of Christmas. The true joy of Christmas is in the everlasting love of Christ. Wishing you a joyous Christmas and blessings in the coming New Year. May you be happier each day And be filled with His grace Happy Easter! Happy Easter! May this season bring overwhelming treats throughout the whole year May your heart abound the fullness of joy from heavens above Relish the outpouring of blessings this season May you have a blessed Easter! Rejoicing and reveling Hopping and grinning Thanking and praising God all for His blessings! Wishing you a blessed Easter!